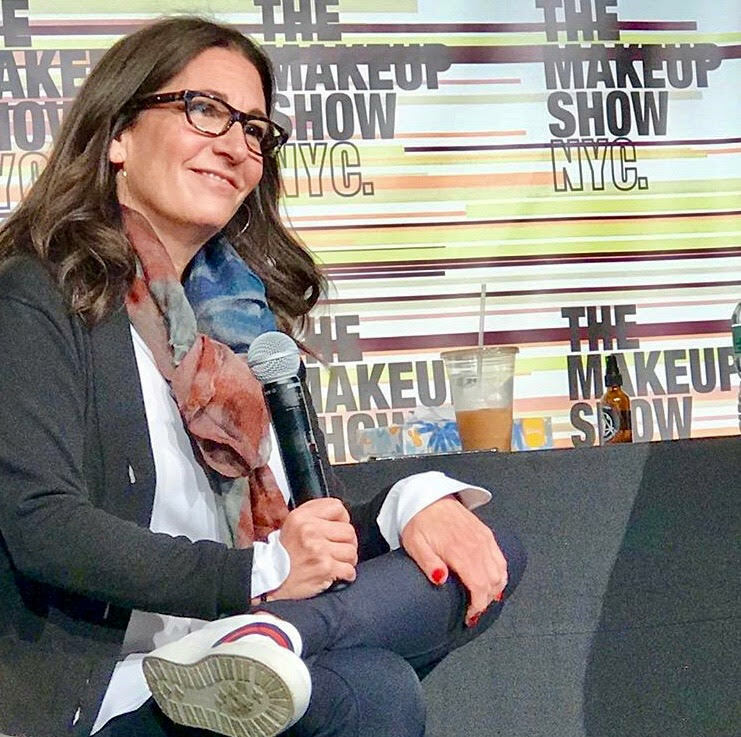 It was surreal to see makeup legend Bobbi Brown take the stage for her panel at the 2018 NYC Makeup Show. She is such an inspiration for makeup artists and makeup enthusiasts alike, and her approach to natural beauty revolutionized the industry. Bobbi spent the hour talking about her journey into beauty, her makeup philosophy, and what’s next for her now that she’s launched a lifestyle and wellness brand. What I wasn’t expecting, though, were the down-to-earth tips Bobbi shared for taking care of your physical and mental wellness in a stressful world. Like her makeup style, Bobbi’s take on wellness is refreshingly simple, easy, and accessible. Read on to see what the makeup legend Bobbi Brown does to keep herself going through her busy schedules! This is non-negotiable, according to Bobbi. When she was starting out as a makeup artist, she would drink coffee after coffee throughout the day, and find herself utterly exhausted by mid-afternoon. Once she realized that her fatigue problem was dehydration, she limited her coffee intake and upped her water. Now, she has the energy to power through long days when she needs it. So, put down the coffee cup and pick up the water bottle when you’re feeling drained! Don’t underestimate how beneficial meaningful breathing is. When things get overwhelming and stressful, Bobbi takes a moment to close her eyes, take a few deep breaths, and center herself. When all you have is a single moment to regroup your thoughts, focus on your breathing, and you’ll feel calmer. As much as we would love to, we can’t fit every single obligation into our schedules. Bobbi Brown made the decision years ago to cut out evening events in order to spend more time with her family. As much as she loved the events and parties, she simply had to decide what was most important to her. Years later, she still has her beauty empire and a loving family. Smart decisions will keep you sane, and allow you to devote more time to things that matter. Bobbi tries to surround herself with people who exude positive energy. However, when she finds herself confronted with negativity, stress, and bad attitudes, she walks it out. Just taking a walk around the block helps release any bad energy that is blocking her focus. Especially if you’re in a creative career, bad energy and stress can wreak havoc on your ability to do your job. Don’t be afraid to take ten minutes to shake it out and get back on track! With her new wellness brand, Bobbi is finally promoting one of her lifelong passions: healthy, mindful eating. Early in her makeup career, she realized that all of the bagels, chips, pasta, and pizza available during photo shoots were dragging her down. When she started bringing her own, healthy food, she noticed a world of difference. Her energy spiked, and she was no longer in a fog midday. Now, she eats clean, and relies on her new products to help her stay healthy on the go. For example, she drinks her brand’s filling protein shake before dinner to avoid the temptation of the bread basket, and will skip dessert in favor of her skin-plumping vanilla overnight drink. Such simple swaps, but so effective in the long run, as evidenced by Bobbi’s amazing youthful glow. Everyone struggles with balancing work or other responsibilities with their personal life. Especially when amazing opportunities arise, it can be hard to decide where to invest your time. Once, Bobbi Brown was faced with this exact dilemma. She had standing plans to go to her friend’s husband’s birthday party, but got a sudden request to do Nicole Kidman’s makeup for Saturday Night Live for the same night. She agonized over the decision, knowing that doing Kidman’s makeup would be a wonderful experience. Ultimately, she decided to go to the party to honor her friend and her friend’s husband, and are still close with the couple to this day. As it turned out, she ended up meeting Nicole Kidman years later anyway. Friends and family keep up happy and supported, so make time for them and your future self will thank you!